In documentary style, events in Petrograd are re-enacted from the end of the monarchy in February of 1917 to the end of the provisional government and the decrees of peace and of land in November of that year. Lenin returns in April. In July, counter-revolutionaries put down a spontaneous revolt, and Lenin's arrest is ordered. 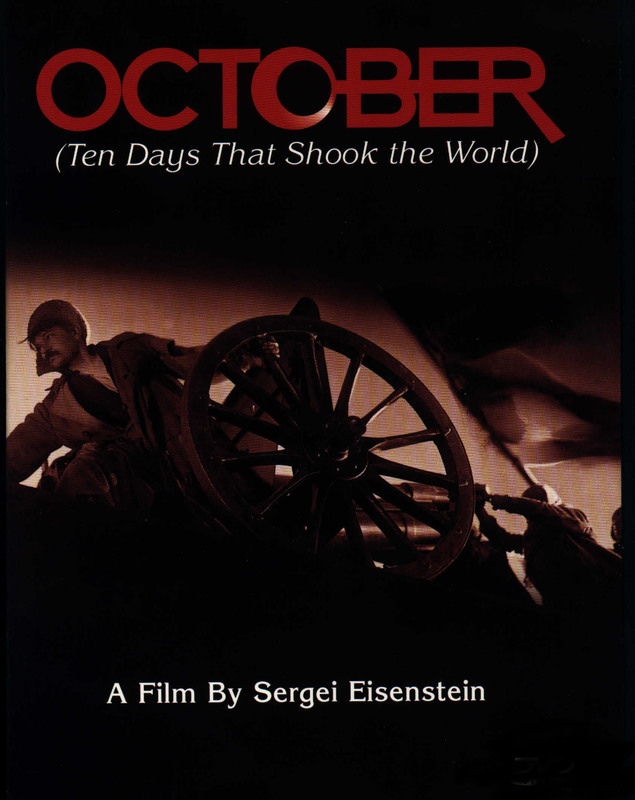 By late October, the Bolsheviks are ready to strike: ten days will shake the world. While the Mensheviks vacillate, an advance guard infiltrates the palace. 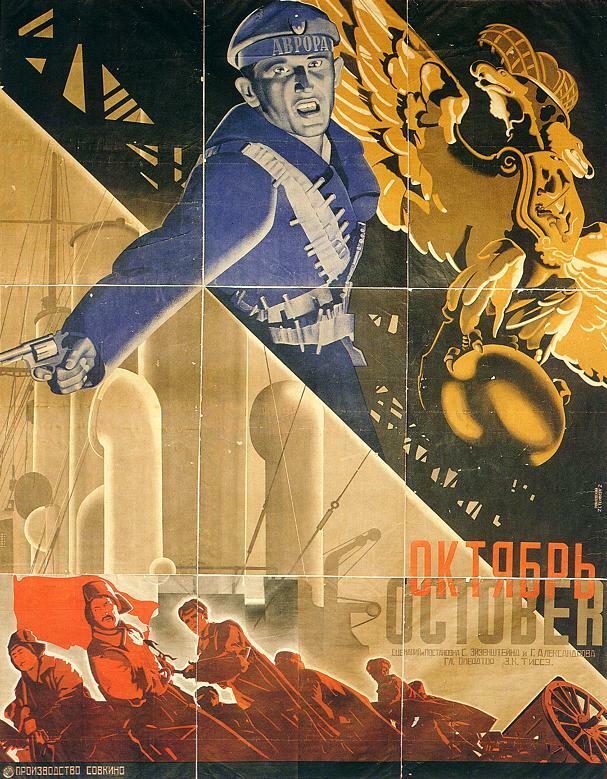 Anatov-Oveyenko leads the attack and signs the proclamation dissolving the provisional government. The Sad Burlesque Review Contains Spoilers Few films have this much bitterness. 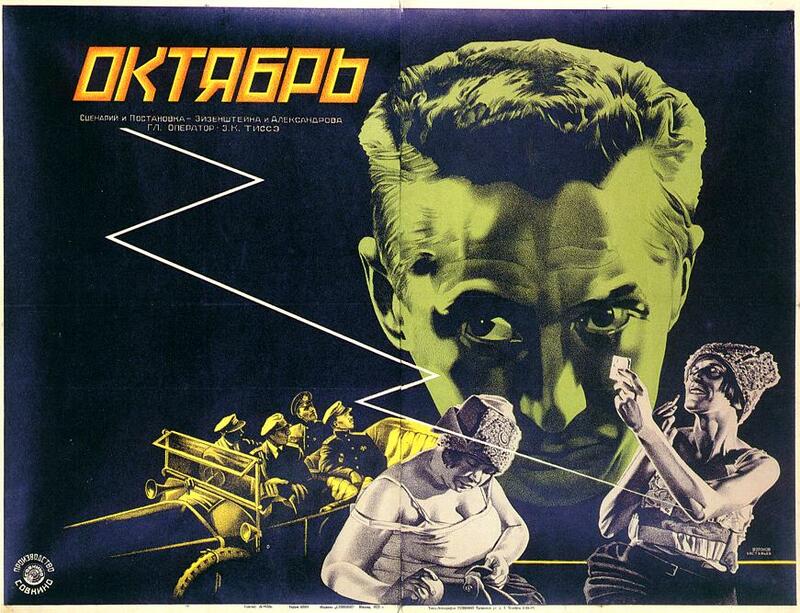 And few filmmakers have the correct balance of passion and creative talent as Eisenstein.That is what makes this film such an important achievement in the history of cinema. Here it is the notion of time and space that is at the forefront of the director's concerns, utilizing what Jarman would later dub the ,viewing the past by way of the present' to recreate the 1917 revolution... complete with thousands of extras and a never before seen approach to scene layering and editorial juxtaposition.Eisenstein himself had set the bar for this kind of thing with the much-imitated Potemkin, though the experimentation here is much more revolutionary, what with the combined number of cuts, the constant change of angle and location and also in the repetition of montage. This was new then, and it still seems fresh today.Others have mentioned the debt that Soderbegh owes to this kind of editing, and to a lesser extent MTV, however there are also other cinematic luminaries who were attempting this kind of thing as far back as 1960.Godard, Resnais, Roeg and Cammell all attempted to elaborate on the cinematic notions of this film, though failed to attach their creativity to a story with this much emotional resonance.Who cares if the underlining political and historical accuracy are true to the time? If we are willing to forgive Eisenstein for breaking narrative continuity then why do so many viewers refuse to disengage from cinematic distortions of reality? This is a notion made all the more impressive due to the documentary-like nature of the film, and the raw aggression that the filmmaker gets from his extras.Here it is the contrast between what we view ,as real' and what we know to be a fa�ade that really tugs at the heartstrings.Surely the massacre, and the image of the slaughtered horse dangling lifelessly from the toll bridge is one of the saddest scenes in the history of film... again, because of the film's roots in reality and the passion of the filmmakers. October isn't just a film, it's a continuation in the growth of film as an artistic medium.It's also a wonderful, though often shattering story that should be seen by all... definitely the director's creative high point.